If you’ve been browsing around, the blogosphere, you’ve probably encountered the Wibiya Toolbar. It’s a simple but powerful script that gives sites subscribers a lot of options to subscribe to, browse and share information from their favorite blog, forum or whatnot into their favorite social networking site. It’s a boon to webmasters because Wibiya gives you lots of potential for gaining more readers and of course subscribers. One of the great things about Wibiya is that it’s platform agnostic. The least bit of control necessary to install it is access to your site’s HTML template. 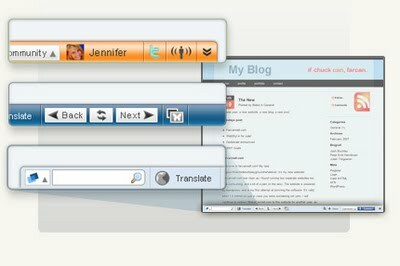 The Wibiya Toolbar can be installed on wordpress, blogger, typepad, drupal, joomla, ning, vBulletin, and even in your custom website as well. Let’s see if they’re true to their words. So feature-wise, yes, Wibiya will help you boost your blog and spur activity. If not the subscription options, then the social networking features will probably do the trick so the toolbar passes this one. Of course, the toolbar’s usefulness isn’t limited to just making your site popular. The Wibiya toolbar also gives you quite a bit of information about your traffic and site activity right on your dashboard. Of course it won’t replace your favorite analytics software, the stats mentioned only involves every activity that’s included with the Wibiya toolbar. Lacking, but useful nonetheless. Now if you feel that the layout simply doesn’t suit your suit’s theme, you can change it with a simple click (ok, maybe I took a lot out of that since you still have to login, Choose Edit Toolbar then Edit Themes. Upon clicking, you’ll be given the option to change your toolbar’s theme and the favicon that it carries. You can try out the colors/themes without changing the live version of your toolbar as Wibiya provides a handy preview at the bottom. Once you’re happy with your changes, simply click Update and the changes will go live instantly. And last but not the least, the Wibiya Toolbar is absolutely free. There’s no pro version so you’re getting all the features everyone else is getting and that’s not a bad deal considering there’s very little effort involved in adding it, not to mention the potential benefits (note that I stress on the word potential :)). If you’re looking for something to boost your traffic other than plain SEO, try it. If you have comments, thoughts or suggestions about the Wibiya Toolbar, post it in the comments and let’s discuss :).